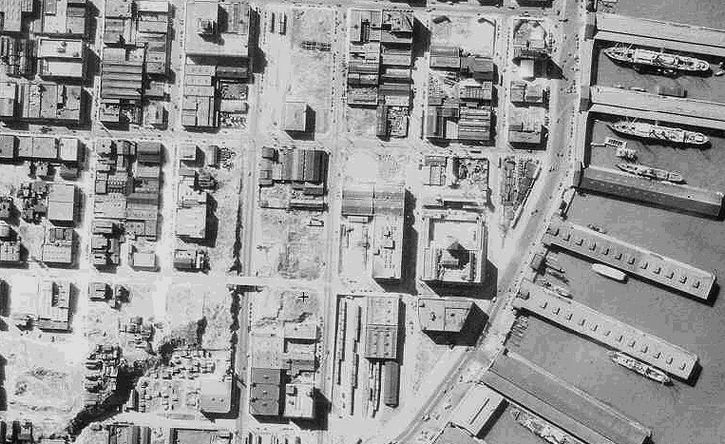 1939 aerial photo of Embarcadero and South of Market. Folsom runs east-west in the center of the image; with Harrison below it, and Bryant Street at the very bottom edge. Rincon Hill is the irregular formation in the lower left corner. Rincon Hill, landing point of Bay Bridge.